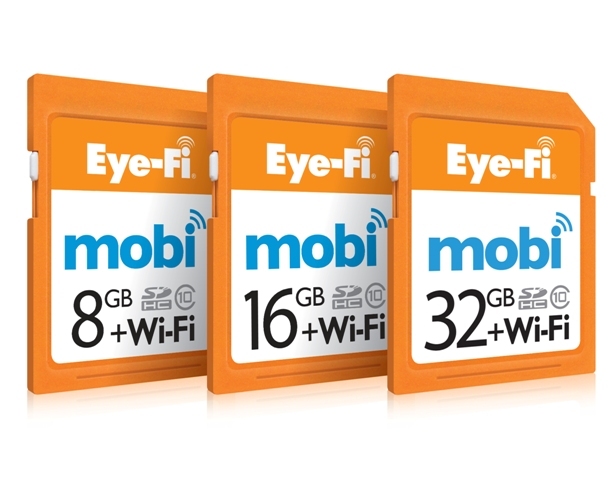 Eye-Fi has recently announced the new 32GB card to its already existing 8GB and 16GB card family. Now you can snap away carefree of filling up your card, as it silently offloads your images to your nearby Android or iOS powered smartphone. Having said that, if you are filling up 32GB that easily on JPEGS alone, you may want to become a little more selective. Just a thought, as the card only has support for the transfer of JPEG files at this point. If RAW is your thing, you will need to spec-up to their Pro series. Simply put, Darryl is a serious tech enthusiast, bordering on "nerd" status. His interest in the world of photography was hatched while marketing for one of the major camera brands, and he hasn't looked back since. Darryl has an insatiable need to improve the quality of peoples lives through technology by making it accessible and understandable. Add to that a humorous outlook on things, and you have a pretty awesome kind of guy! If I may reply. Currently the Eye-fi cards are not available in South Africa officially. We may have a solution for you however in the coming weeks.